English Translations of Buddhist and other Tibetan texts by Erick Tsiknopoulos, professional Tibetan-English translator and author. Erick Tsiknopoulos (b. 1981) is an American translator of Tibetan, a scholar, researcher and postgraduate student in Buddhist Studies, a teacher and tutor of Tibetan language, a writer and editor, a voracious reader in various subjects, and an experienced world traveler. He is the founder and Tibetan translator of this website, Tibetan-Translations.com, which currently features English translations of over 300 Tibetan texts. Many of his translations have been published in various forms, including as books. Erick Tsiknopoulos has been a student of Buddhism since 1999, a student of Tibetan Buddhism since 2003, and a student of Tibetan language since 2005. He has been translating Tibetan texts into English since 2007, has been based in India and Nepal studying Tibetan language and Buddhism intensively and translating Tibetan texts since 2008, and has been working professionally as a Tibetan-English translator and interpreter since 2009. Since 2008, he has lived mostly in India and Nepal studying Tibetan language and Buddhism. He also occasionally travels throughout Asia and Europe. He is currently working towards a Master’s of Arts (MA) degree in Buddhist Studies through the University of South Wales, Wales, United Kingdom. He also completed one year of MA coursework in Buddhist Studies through the International Buddhist College, Thailand. In addition, he has also translated extensive portions of two side projects, the Tibetan edition of the 29 and 31 Chapter Versions of the Sūtra of Golden Light (suvarṇaprabhā-sottama-sūtra), the Tibetan edition of the Lotus Sūtra (saddharma-puṇḍarīka-sūtra) and its sole Tibetan commentary, and in particular, most of the large collection of texts comprising the Heart Sphere of Yuthok (g.yu thog snying thig) the main Tantric Buddhist practice cycle for practitioners of Traditional Tibetan Medicine); all of which are planned for publication. Many of his translations have been published; most of these are available for viewing on Tibetan-Translations.com. He has translated hundreds of Tibetan texts into English, many of which are available for viewing on his main website, Tibetan-Translations.com. He has translated numerous works by modern Tibetan teachers, such as His Holiness the 14th Dalai Lama (Tendzin Gyatso), His Holiness Sakya Trichen Gongma Rinpoché, Ngawang Künga Tekchen Pelbar (the 41st Sakya Trizin), His Holiness Düdjom Rinpoché (Jigdrel Yéshey Dorjé), His Holiness Trulzhik Rinpoché (Ngawang Chökyi Lodrö), His Holiness Khenpo Jigmey Püntsok Rinpoché, His Eminence Chobgyé Trichen Rinpoché (Lobzang Tubten Rinchen Legshay Gyatsoi Dé), His Eminence Dzongsar Khyentsé Rinpoche I (Chӧkyi Lodrӧ), Khunu Lama Rinpoché I (Tendzin Gyeltsen), His Eminence the 10th Sangyé Nyenpa Rinpoché, His Eminence Lamchen Gyelpo Rinpoché, His Eminence Khunu Lama Rinpoché II (Khunu Negi Rinpoché), Katok Rigdzin Chenpo Rinpoché (Payma Wangchen Dorjé), Yongdzin Loppön Tendzin Namdak Rinpoché, Tsangpa Tulku Rigchok Rinpoché, Bönpo Géshey Sheyrab Püntsok, Māratika Dungdzin Rinpoché (Ngawang Jigdrel Chökyi Wangchuk), Chöying Rigpay Dorjé Rinpoché, Géshey Namdra Tubten Yarpel, and Dr. Nida Chengatsang; and classic Tibetan authors such as Ju Mipham Rinpoché (Jamyang Namgyel Gyamtso), Jé Tsongkhapa (Lobzang Drakpa), Longchenpa (Longchen Rabjam), Sachen Künga Nyingpo, Düdjom Lingpa, Śākya Chokden (Serdok Paṇchen), Milarepa, Karma Chagmey (Rāga Asya), Chöjé Marpa Sheyrab Yéshey, King Songtsen Gampo, Nyakla Payma Düddul, Tertön Sögyel, Terchen Trulzhik Dongak Lingpa, Takbu Yongdzin Yéshey Gyatso, Gatön Ngawang Legpa, and Gendün Chöpel. He has also produced the primary translations for official letters from the Office of the 17th Karmapa, the Tibetan Government-in-Exile, and Saymo Saraswatī (the daughter of the late Chatral Rinpoché, Sanggyay Dorjé). In particular, he has translated a large and ever increasing number of Mahāyāna sūtras, dhāraṇī scriptures, and Tantric works from the Tibetan Buddhist Scriptural Canon (the Kangyur). He has provided his textual and oral translation services to several Tibetan Buddhist Dharma centers, in both the West and East. In addition, he has also served as the main textual translator for His Eminence Khenchen Lama Pelgyeypa Dorjé Rinpoché, a renowned master of the Nyingma school, since 2010. Erick Tsiknopoulos born on October 15th, 1981 in Gettysburg, Pennsylvania (USA). His early life, until the age of 19, was spent mostly in Southwestern Pennsylvania; but in young adulthood he lived on both the east and west coasts of the United States. He has been an avid student of Buddhism since 1999. He took the Refuge and Pratimokṣa lay precepts several times in 2000, thus formally becoming a Buddhist; and graduated high school in the same year. From 1999 to 2003, he explored Buddhism in many traditions: Sri Lankan Theravāda (the Bhavana Society Forest Monastery, West Virginia), Japanese and Chinese Pure Land (on-line), Japanese Sōtō Zen (at the Arcata Zen Center, California), Chinese Ch’an (at the City of Ten Thousand Buddhas, California), and others. In 2003, he began a more intensive study and practice of Buddhism within the Tibetan tradition under the guidance of qualified teachers in California and Oregon. Since then, he has studied and/or practiced within all four major schools of Tibetan Vajrayāna Buddhism, but in particular Nyingma, Géluk and Sakya. In 2000, he moved to Humboldt County, California; where he worked two one-year domestic service terms as an environmental/recycling educator, and English literacy tutor, respectively. From 2000 to 2007, he traveled extensively within the United States, and lived, if sometimes briefly, in six different American states: California, Arizona, Oregon, Washington, Alaska, and his home state of Pennsylvania; but mostly in California, where he spent about 5 years total from 2000 to 2005. During this same time period (2002-2007), he also worked in four different national parks and resorts; including the Grand Canyon, Yosemite, and Olympic National Parks, as well as an Alaskan hot springs resort. He attended two community colleges in Eureka, California and Eugene, Oregon for a total of two years of coursework, where he mainly studied Japanese language and Massage Therapy in intensive courses; but also Greek Mythology and Environmental Ethics. He traveled in Japan for six months in 2005, where he studied Japanese language, culture and religion in the Saitama, Mie and Kyōtō prefectures; and there also volunteered as an English teacher. In 2003, he began to study and practice Tibetan Buddhism in the Nyingma tradition of Tibetan Buddhism under Lama Orgyen Zangpo and other lamas from the Chagdud Gompa and Katok lineages; in particular Khentrul Lodrö Thayé Rinpoché, an eminent scholar and teacher from Katok Monastery in Tibet, from whom he received many teachings on various topics of Dharma, including extensive study in Mahāyāna Mind Training (theg pa chen po’i blo sbyong), Madhyamaka, philosophical tenet systems, and many aspects of Vajrayāna practice, at different locations in the US from 2003 to 2007. In India, he has studied mainly in the Nyingma, Géluk and Sakya traditions of Tibetan Buddhism under various teachers, since 2008. In addition to his Tibetan and Vajrayāna Buddhist studies and practice, his other Buddhist interests include the Ch’an/Zen, Tientai/Tendai, and Huayen/Kegon schools, along with their scriptural foundations of the Lotus Sūtra, Avataṃsaka Sūtra, and other sūtras of the ‘Third Turning of the Dharma Wheel’ class, the Ekayāna (One Vehicle) approach; and Buddhist scriptures which are oriented toward the subject of Buddha-Nature generally. He has been studying Tibetan language since 2004. He started a more serious study of the language in 2005 through self-study and the help of experienced Tibetan translator-tutors; and in 2007 began translating Tibetan texts. Since late December 2007, he has been living for the vast majority of the time in India (and sometimes Nepal); where he has been continuously engaged in an immersive, multifaceted and holistic study of Tibetan language, culture, literature and philosophy, alongside his ongoing Tibetan-English translation work and research. In India and Nepal, he has studied at various centers of Tibetan learning; in Bir, Darjeeling, Sidhpur-Norbulingka, Chauntra, Dharamsala and McLeod Ganj (roughly in that order). In addition to frequent private classes with khenpos, geshes and other Tibetan scholars, he has studied at the Manjushree Center of Tibetan Culture, the Thösam Ling Institute, Dzongsar Shedra (the Dzongsar Institute of Buddhist Philosophy and Dialectics), the Library of Tibetan Works and Archives, Namgyal Dratsang (His Holiness the Dalai Lama’s monastery), and the Institute of Buddhist Dialectics (which is connected to Namgyel Dratsang). From 2012 to 2015, he studied through the Esukhia Institute (Nangten Sizhu Khang) with Professor Lobzang Gyatso, a learned Tibetan scholar of Buddhist philosophy, medicine, astrology and literature from Amdo in northeastern Tibet; who guided him skillfully in the art of linguistic, philosophical and hermeneutic analysis of Tibetan Buddhist texts. He continues to seek the knowledge and guidance of Professor Gyatso for his translations long distance, from his new home in Sweden, on a regular basis through the Internet. Fluent in both spoken/colloquial Tibetan and literary/classical Tibetan, he has also translated orally for several Buddhist teachers, including His Eminence Khorchak Tulku Rinpoché, Géshey Tendzin Ludrup, His Eminence Sangngak Tenzin Rinpoché, the late His Eminence Khensur Denma Lochö Rinpoché, His Eminence Lobsang Chögyël Rinpoché, and Géshey Tséwang Nyima. He utilizes his fluency in colloquial Tibetan and literacy in modern literary Tibetan to ensure quality and accuracy in his translations, through analyzing any difficult points in the Tibetan texts directly with Tibetan scholars in the spoken and written Tibetan mediums. “Now, to elaborate on the subject at hand, my student, the young American scholar known as Erick (Tsiknopoulos): He is of good and kind character; and is an intellectual of broad understanding and discernment. He has studied the Sanskrit, Pāli, Japanese, Hindi, Russian and Spanish languages in addition to Tibetan and his native language of English. He has a good knowledge of Sanskrit Buddhist terminology; and in Japan he attained a high level of ability in Japanese language. For over ten years (c. 2013), he has studied a great deal of the Mahāyāna and Secret Mantra (Vajrayāna) Dharma teachings of the Nyingma tradition in America and India, with many great Buddhist teachers; as well as the teachings of the other three main Tibetan Buddhist traditions. He has attended and studied many teachings on Mind Training, Emptiness, Madhyamaka, Tantra, and various other important Buddhist topics. He has attended and studied at many schools in both America and India. In America, he studied Japanese language, Massage Therapy and many other subjects at two colleges in America. In India, he has studied literary and colloquial Tibetan at the Manjushree Center for Tibetan Culture in Darjeeling, Tibetan language and Buddhist subjects such as Philosophical Tenets (grub mtha’, siddhānta) and Madhyamaka (dbu ma) at the Thösam Ling Institute in Sidhpur-Norbulingka, the Sūtra on Recollecting the Three Jewels (dkon mchog gsum rjes su dran pa’i mdo), Types of Mental Cognition (blo rigs), Types of Reasons (rtags rigs), Tibetan Buddhist philosophical debate, Collected Debate Topics (bsdus grwa), and Tibetan grammar (sum rtags) at Dzongsar Shedra (Dzongsar Chökyi Lodrö Institute of Buddhist Dialectics) in Chauntra, Philosophical Tenets, Collected Debate Topics, the Seventy Topics of the Abhisamayālaṅkāra (don bdun bcu), and Śāntideva’s Bodhisattvacaryāvatāra (jang chub sems dpa’i spyod pa la ‘jug pa) at the Library of Tibetan Works and Archives in Dharamsala, Tsongkhapa’s Great Treatise on the Stages of Path (lam rim chen mo), Tibetan grammar, and Prajñā-pāramitā (Abhisamayālaṅkāra) at the Institute of Buddhist Dialectics in McLeod Ganj; and Prajñā-pāramitā (Abhisamayālaṅkāra with its commentary by Panchen Sönam Drakpa), Stages of the Path (lam rim) literature, at Namgyal Monastery, the main temple of His Holiness the Dalai Lama. In addition, he has also frequently attended private classes with various Buddhist scholars such as khenpo-s and géshey-s; in which he has studied subjects such as the Gyeltsab Darma Rinchen’s commentary on the Bodhisattvacaryāvatāra, Ju Mipam Rinpoché’s Gateway to Knowledge (mkhas ‘jug), Torch of Certainty (nges shes sgron me), and commentary to Chanting the Names of Mañjuśrī (mañjuśrīnāmasaṃgīti, ‘jam dpal mtshan brjod), Tsongkhapa’s praise to Mañjuśrī, Types of Mental Cognitions, Types of Reasons, the Ākāśagarbha Sūtra (nam mkha’i snying po’i mdo), and so forth. Since 2012, he has studied through the Institute for Service to the Buddhist Teachings (Esukhia Nangten Sizhu Khang) with me; and together we have reviewed the Sūtra of Golden Light (ārya-suvarṇaprabhā-sottama-sūtrendra-rāja), a collection of sūtra-s (mdo tshan phyogs sgrigs), a text on the negative karmic retributions of guns (me mda’i nyes dmigs); and in particular, his extensive translations of the large compilation of practices related to the Heart Sphere of Yutok (g.yu thog snying thig). I have gone over his translations of these texts with him, and have provided him with additional commentary and explanation. Based on this, I believe that his translation skills are exceptional and outstanding. He is also currently (c. 2013) doing oral translation on a regular basis for Tibetan Buddhist subjects such as Tsongkhapa’s Three Principle Aspects of the Path (lam gtso rnam gsum) and the Four Noble Truths for an accomplished lama named Lobsang Chögyel Rinpoché. The Prayer to the Three Great Stūpas of Nepal, by Düdjom Rinpoché (Jigdrel Yéshey Dorjé), published by Khenpo Tenzin Shedrup, India, 2012. Erick Tsiknopoulos is available for contact and translation inquiries via email: Erick@Tibetan-Translations.com. 1) If I invited you to teach basic tibetan and sanskrit in Kuala Lumpur, will pay for all your flight and acomodation expenses , and what did you charge teaching basic sanskrit ? 2) Would you like to join the malaysia Buddhist coference this coming september, I can sponsor you. how should I donate or support the fund to you. I look forward to reading all your translated works soon. Buddha bless. Translated.Is Khenchen lama a student of his? Thanks Aaron. To answer your question, yes he is. Felt so gud to go through ur side..its really very nice one dear..may buddha bless u..
Hi, I teach Tibetan through Skype. You can add me on Skype at SherabZangpo84000. Since 2008, Erick Tsiknopoulos has been offering translations of Tibetan Buddhist texts to the general public on his main website, Tibetan-Translations.com. The goal has always been to make the classic and important literature of the various Tibetan spiritual traditions available to as many people as possible, through the medium of Tibetan-English textual translations. These translations have been done by striving for the highest possible level of quality and accuracy; and by consulting with native Tibetan scholars on any difficult points in the translated texts. 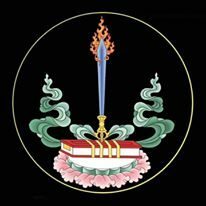 At present, Tibetan-Translations.com features English translations of well over 300 Tibetan texts, by dozens of Indian and Buddhist authors; and more are being added on a regular basis. The vast majority of these have never before been translated into English or any other Western language. In addition, some of the translations have also been translated into other languages, such as Spanish, French, German, Russian, Romanian, Greek, Indonesian and Vietnamese; with the hope to do more in the future. People from all over the world, from over 180 countries, have used Tibetan-Translations.com for their study, research, and practice. To date, the translations by Erick Tsiknopoulos available on the website have been read and used by over 100,000 people in total. The feedback from our readers over the years has been overwhelmingly positive and appreciative. Your sponsorship will substantially contribute to our ongoing translation projects. This will assist in promoting the translation of the oceanic literature of the Buddha Dharma into English and other languages. Through the charitable funding of our generous sponsors, we receive direct backing and support for expanding the library of translated Tibetan texts on Tibetan-Translations.com, maintaining and improving the website, and finding the time and resources to produce more of the many texts planned for translation in the future.